Delivery to London postcodes only for £25 or collect in store for free. 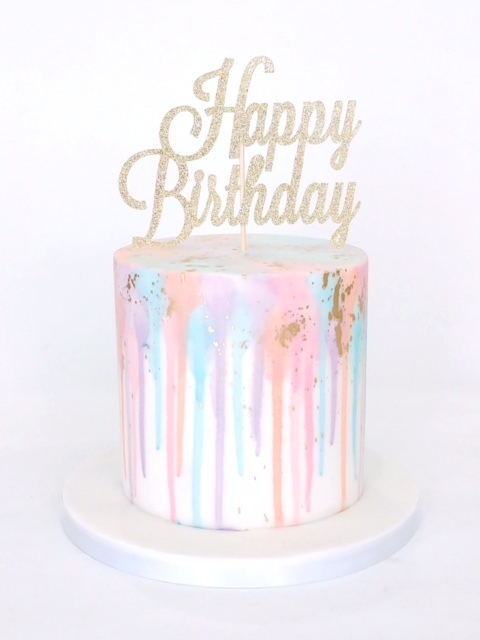 Our gorgeous pastel colour-drip birthday cakes are perfect for any special birthday celebration. 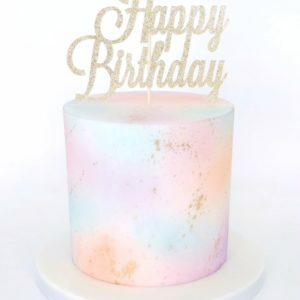 Inspired by rosy pink skies and girly happiness, this dreamy watercolour cake is one of our absolute favourites. This tower of gorgeousness is finished with a sprinkle of edible gold ink and a glittering happy birthday cake topper to bring that extra bit of sparkle. Our deliciously moist cakes are a real treat for cake lovers. Choose from our two top-selling flavours. Our light and springy vanilla victoria sponge sandwiched with our oh-so-good vanilla buttercream is heavenly and our chocolate sponge sandwiched with the smoothest, creamiest chocolate buttercream is delightfully light, yet indulgent. 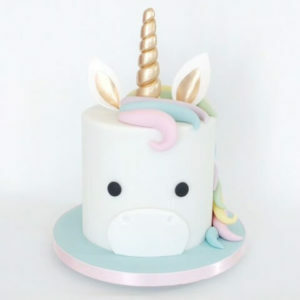 To order, simply pick a cake size and cake flavour, give us your delivery details and any special message you’d like on the cake. It couldn’t be simpler. We deliver to any London address from £25, or you can collect from our London cake parlour. Best before: 5 days from date of delivery. 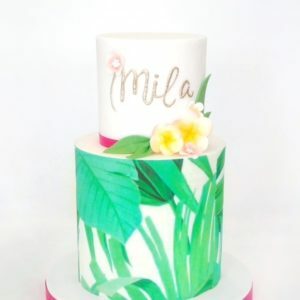 For more deliciously fabulous and simply beautiful cakes see our budget cake collection. Have a question for us? 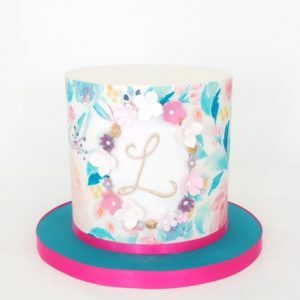 Call our creative cake team on 020 8874 4616.